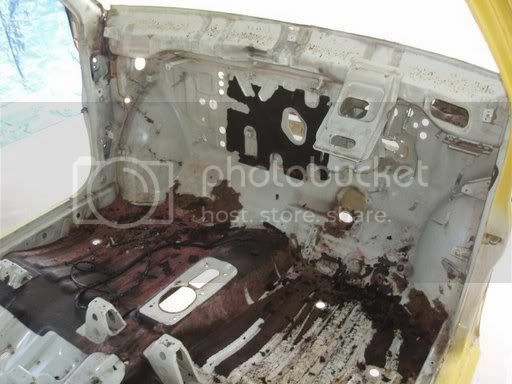 Alright I've finally got round to getting my hands dirty, and have had a very productive weekend stripping my car out. The only things left in there now are parts of the steering, brake, and fuel systems, and they can all come out this coming weekend. Rust in the usual places. Apart from the rust at the bottom of the A pillars there doesn't seem to be too much major, just a few patches that will need cutting out. That may change once I get the paint off, but I guess I'll find out soon enough. overly complicated throttle assemblies and emissions control systems seem like more trouble than they are worth. at least some of the silly vacuum hoses. Now might be the time to seriously investigate other engine possibilities. have a look at the engine from a 2G Prelude 1985-1987 BA1 chassis NOT the 4WS BA5. i think the B20A from the 2G would possibly go in nicely 160ps 19.5kg/m torque is a lot of grunt for a city though. Or you could just get over the obvious issues with the ER5 its not nearly as bad as you think, some of the vacume lines can be removed, there is work being done on the stock ECU which seems like it might work well. 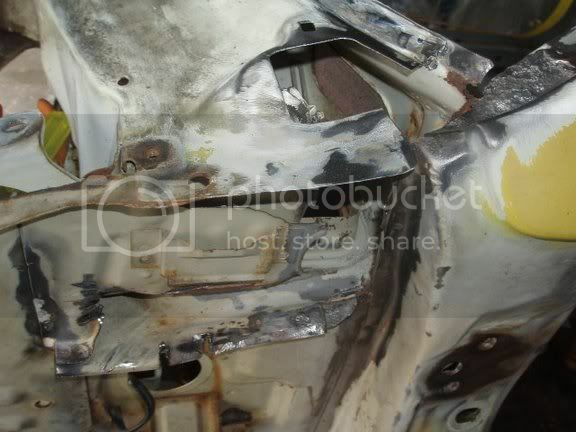 Your main concern is getting rid of all that rust it looks ok in places the more you look the more will pop up, good luck. If you have a welder and want a nice engine thats going to pull hard for years then I would put a d16 in. They are fantastic engines, really torquey and smooth but still revv out and don't run out of breath until like 7000rpm. Either keep it na they are really nice to drive and they are 130hp and NA so significantly quicker than a stock T2, or turbo it if you want to keep boost and keep buying tyres. Have you driven an EK (not sure about the earlier ones) civ with a d16? They have a similar torquey feel to the city motor, really nice to drive. Can putter along in any gear at any time almost and pull strongly from idle. Aftermarket is all good but its very hard if at all possible to get a factory like idle and light cruise out of the cheaper aftermarket ECU's, they have far fewer corrections and smaller tables than the factory ECU's. Of course you can out of things like Motecs and hours and hours on the dyno but It's nice that Honda has already done this My goal with the ECU modifications when I get there eventually is to get the best of both worlds. Almost I am looking at building a fairly simple add-on board to make the spark programmable and just run fixed timing on the distributer like later Honda motors do, wouldn't be much extra to convert to to wasted spark but yeah, a while away. bigelboe wrote: Have you driven an EK (not sure about the earlier ones) civ with a d16? They have a similar torquey feel to the city motor, really nice to drive. Can putter along in any gear at any time almost and pull strongly from idle. I definatly wouldnt do a cheap aftermarket ECU, dont a lot of work with Link ECUs (from early to new) and although u might shell out $1600 with a good tuner you should get a perfect "factory feel"
The other option I though of is going for an EL motor and ditching CVCC. Then it bolts in, is a nice period upgrade and you can run a nice simple manifold and stuff. How nicely does it bolt in? Same mounts nicely? I was planning on doing a full rebuild on whatever engine I end up using, and if it's not the stock engine I'd probably run it with some sort of aftermarket engine managment. Is there a non CVCC head that goes straight onto the ER block that way an aftermarket ecu can be ran easily? Progress is slow but steady, I have removed EVERYTHING from the car that can be removed. Started cleaning up and cutting out rust. Cleaning out the wheel arches. Found some rust in the top left corner of the windscreen. When I get sick of rust or underseal I have a go at scraping all that crap off the floor. Not 100% on where I want to go now, if it would be better to fix up as much rust as I can now, then get it sandblasted properly - hope there isn't too much rust I've missed, then paint it. 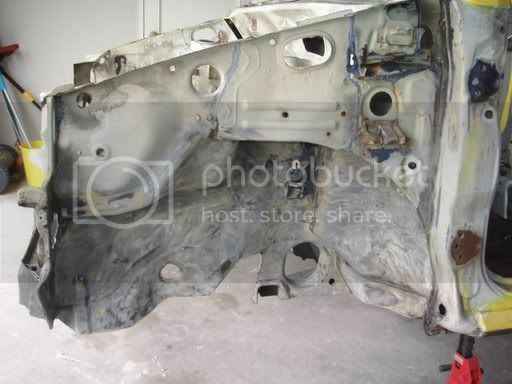 Or should I get it fully sandblasted now, patch it up once I know where all the problems are, then paint it after that, given the fact that it will be sitting around bare for quite some time? Last edited by Mike_NZ on Tue Jul 07, 2009 10:55 am, edited 1 time in total. Sandblasting will show you where rust was you would otherwise miss as it will push through thin sections. After you have it blasted you could shoot it with a quick couple of coats of primer just so its not bare that you can sand off or whatever later. If you use lacquer primer you could almost just wipe it off with thinners later. 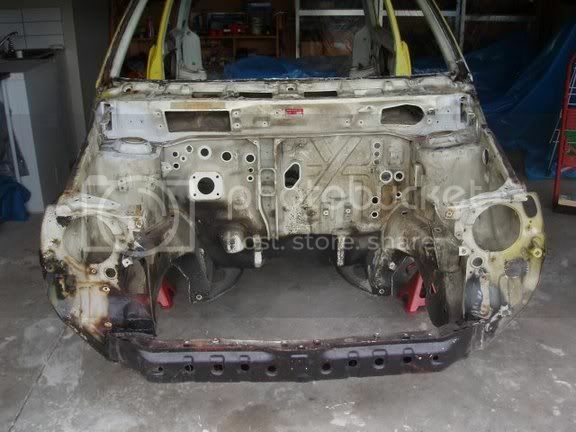 Or, since I was planning on POR15ing the whole car, I could mask off the bits that need fixing, paint everything else with the POR15, fix the bad bits and paint them after. That might be a good way of dealing with the prolonged metal exposure problem. That sounds like a wise move. Sorta wish I had just done that actually. I guess I still could get the whole shebang bead blasted then just POR 10 it. Would save me a bit of farking around. 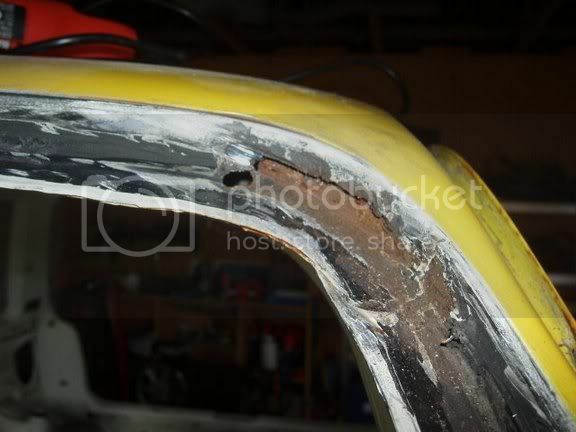 Bit of progress, the roll cage is coming along very nicely, should be done by the end of this week, hopefully. Now keeping an eye on trademe for some suitable seats, and we'll be all go. 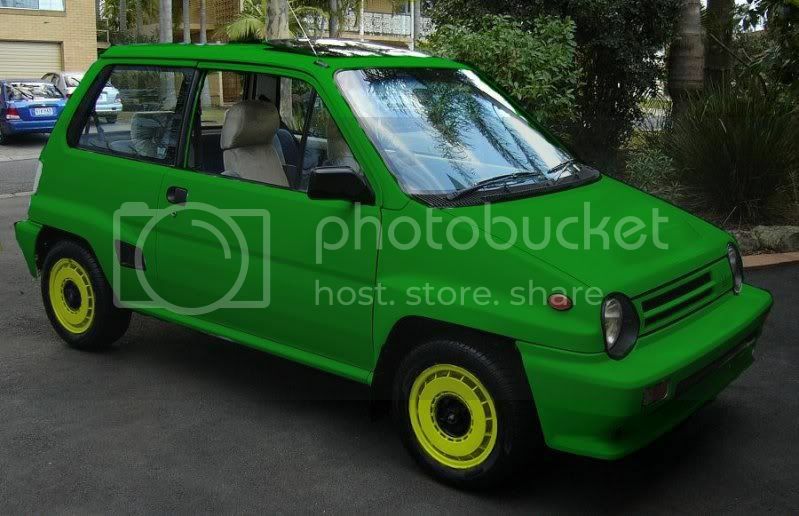 Next question is one of paint, someone at work suggested painting it John Deere green, obviously with yellow wheels. I think that'd be pretty funny, but I'm not feeling strongly for or against the idea. The guy doing the cage thinks it'll look good in white, again I don't really mind, though I do think the John Deere is pretty funny. Anyone else have any other thoughts on colour?